The Jackbox Party Pack was developed and published by Jackbox Games. It was released on November 26, 2014 for $24.99. A copy was provided for review purposes. With Christmas rapidly approaching, it may come as no surprise to see more and more party focused games begin to appear. 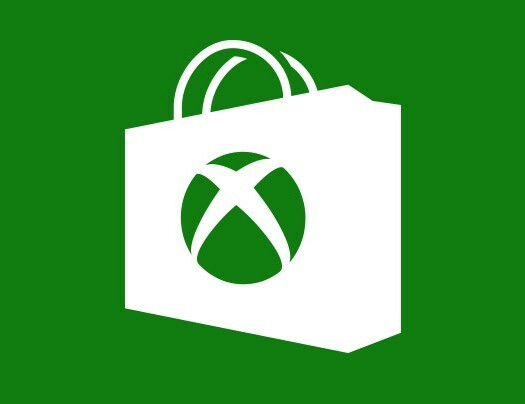 Leading the way on Xbox One is Jackbox Games’ rather generous The Jackbox Party Pack, which features all three previous Jackbox releases, plus two (almost) entirely new games. Jackbox has built an excellent reputation primarily on the success of its standout title You Don’t Know Jack, the latest (2015) version of which is included in the here. The Jackbox Party Pack promises the kind of risque laughs that have been made popular in recent years by accessible, engaging tabletop games like Cards Against Humanity. Achieving the kind of belly laughter that these board games provide on a console has always been challenging, and often disastrous – let’s find out if Jackbox have got the balance right. 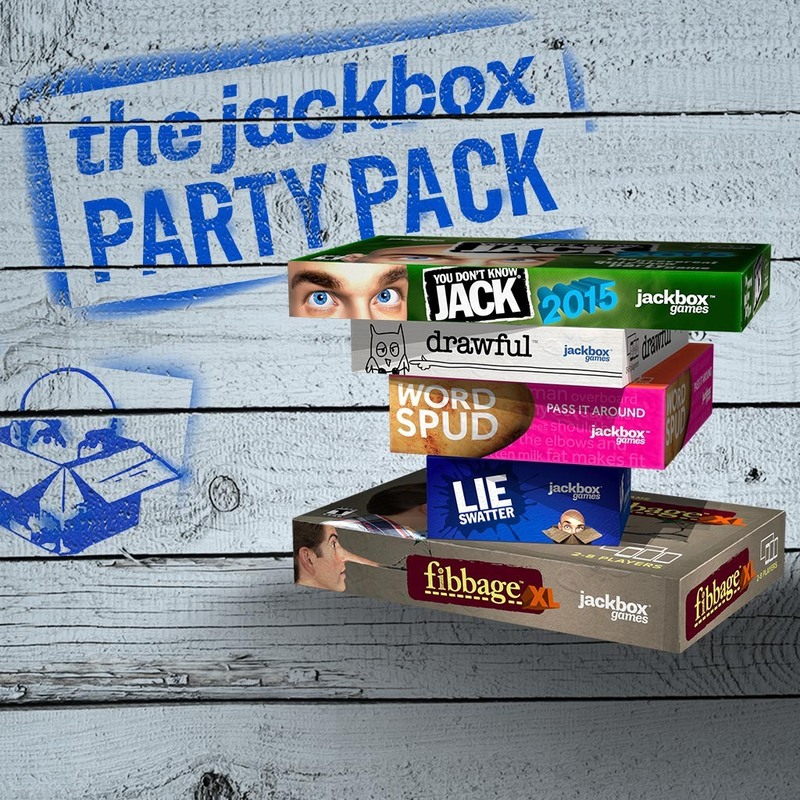 Good value for money — Of the five games included in The Jackbox Party Pack, three are of a very high standard. The other two are still pretty good, but only really come into their own as the number of players begins to increase beyond four or five. You Dont Know Jack 2015, Fibbage and Drawful are where the fun is at for most parties, with YDKJ15 providing an amusing, fairly challenging quiz-show format (complete with over-the-top presenter) across 50 unique episodes. Fibbage and Drawful ask more of the contestants and the technology integration (see the next section), as players either draw clues to score points or write false answers to outfox opponents. Technobabble-free — One of the best things about The Jackbox Party Pack is that it includes a completely fuss-free, near-flawless and immediately accessible control system that allows up to 100 players in a single game. How, you ask? 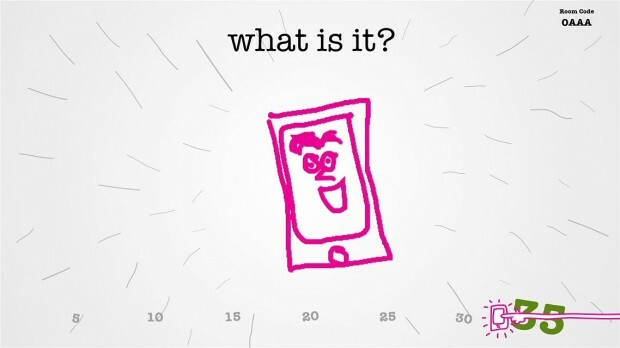 Well, Jackbox supports mobile phones, tablets and basically any other web-connected device as the primary control method for all games in The Jackbox Party Pack. 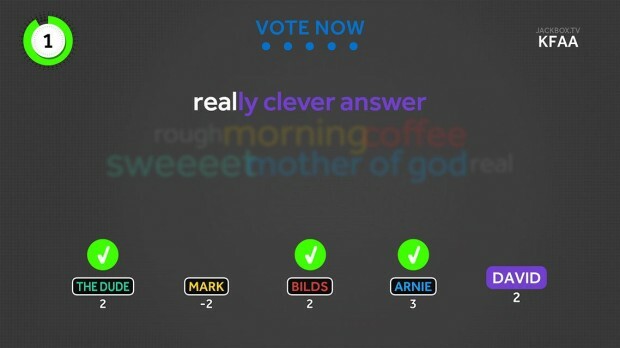 Players simply connect to the jackbox.tv website, enter the unique four digit code for their game and that’s it – things could not be simpler, and the game has a much wider audience as a result. LOL — Surprise! 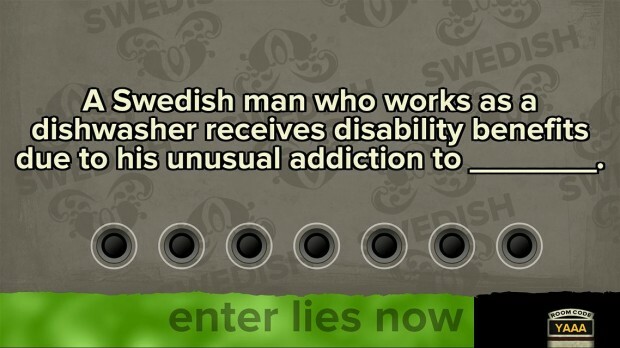 The Jackbox Party Pack is actually funny. I mean hilarious. Really! Of the five games on offer here, all are certainly capable of generating a good laugh both because of the way the game is presented (especially YDKJ15) and also because of the possibilities they present (in particular Drawful and Fibbage). You would need to be playing alongside a group of real sourpusses to find The Jackbox Party Pack boring, although I must say that it does occasionally incorporate mild bad language, offensive themes and general adult content. 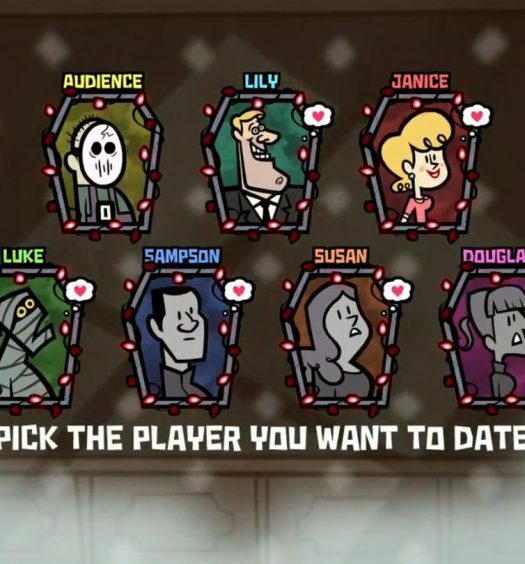 International aid — Perhaps the main reason why I was so excited about reviewing The Jackbox Party Pack is because several years ago when I first heard of the original You Don’t Know Jack, I couldn’t wait to give it a go. Unfortunately, it was never released in the UK (or anywhere outside America), and at present, there are no plans to release The Jackbox Party Pack anywhere outside of the US either. Believe it or not, British people have at least SOME sense of humour, as do people elsewhere in the English speaking world. Even Australia, apparently. If South Park can be censored for localization, so can The Jackbox Party Pack! Everybody has a favourite — Although three of the games included in The Jackbox Party Pack (YDKJ15, Fibbage and Drawful) are great, Lie Swatter and Word Spud offer less opportunity for fun, especially with a group of four or fewer players. Word Spud is a mix of word completion and association which I found a bit flat without the chaos of multiple players in the mix, whilst Lie Swatter is the most basic of all the included games and is clearly designed to demonstrate the 100 player capability that Jackbox has introduced. It’s OK, but it is just too dull to keep a small audience interested. With so many reasons already to have friends over at this time of year, The Jackbox Party Pack is an easy game to recommend. Although this compendium contains some games which might not appeal to everyone (though you may disagree entirely with my preferences), it’s fair to say that there is also a lot of value for just $24.99. Be warned that if crass or sarcastic humour isn’t to your liking then it’s unlikely you’ll find much to enjoy here, but for any who have ever felt that they lack that one marquee game to wheel out at parties, The Jackbox Party Pack will certainly fill that gap.